A school raising the career aspirations of young people and a primary teacher who is passionate about increasing women in STEM education and careers are among the finalists of this year’s Victorian Education Excellence Awards. The awards recognise inspirational teachers, principals and support staff who get the best out of their students. 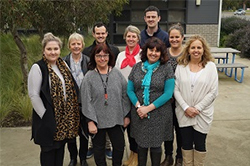 Twenty-eight finalists, both individuals and teams, have been shortlisted for awards from the passionate teachers, principals and support staff in government schools across the state. All are in the running to win up to $220,000 worth of professional development prizes. Individual category winners will receive up to $20,000 for professional development, while team-based award winners will receive up to $25,000. Each category winner is in the running for the Lindsay Thompson Award for Excellence in Education, and awarded a further $20,000. 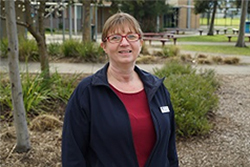 Year 10 leading teacher Karen Anders from Traralgon College, who has improved student engagement and retention using a clever rewards system that sees students claim prizes for meeting set targets. As a member or her school’s Positive Behaviour Support Team, she has collaborated with staff to develop behaviour and reward practices that have turned difficult students into diligent learners. One example saw positive behaviour rewarded with a star-shaped click on a card. After 10 clicks, students could claim a chocolate frog or a hot drink from the canteen. This simple system showed immediate outcomes as it promoted positive and respectful exchanges between students and staff. 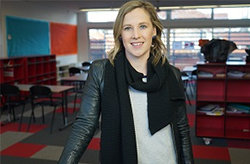 Canterbury Primary School teacher Emma Ross has developed STEM literacy programs for disengaged writers and a Makerspace where students and teachers design and invent using activity areas including a robotics and electronics zone and a Lego and construction zone. She has also led a ‘Young Minds of the Future’ project involving 500 students and teachers from local schools. Students developed products and solutions to identified problems and then connected with industry experts on Twitter to gain feedback about their innovations. Lighting Reef Primary School in Bendigo has - along with several other local schools - joined forces with local businesses to run a “Passions and Pathways” program. Students are given a taste of the careers they might like to pursue by undertaking workplace tours and workshops. Award categories include Outstanding Koorie Education, Outstanding Inclusive Education, Outstanding School Advancement, Outstanding Education Support Team, Outstanding Business Manager, Outstanding Primary Teacher, Outstanding Secondary Teacher, Outstanding Primary Principal and Outstanding Secondary Principal. Winners will be announced on 27 October at a ceremony at the Plaza Ballroom.